A cheilectomy is a surgical procedure performed to remove bone spurs from the base of the big toe in the foot. Patients with a condition called hallux rigidis, or arthritis of the big toe, have pain and stiffness in the big toe. The word cheilectomy comes from the Greek word Cheilos, meaning "lip." A cheilectomy removes the bone spurs, or lip of bone, that forms as a result of arthritis of the joint. By removing the bone spurs, patients have less stiffness of the big toe. People with arthritis at the base of the big toe have hallux rigidus. When the joint wears away at the base of the toe, movements of the foot become painful. The most common location of pain in people who have hallux rigidus is directly on top of the big toe. This pain is called dorsal impingement. Dorsal impingement occurs when the toe is bend upwards, and bone spurs on the ends of the bone pinch on top of the big toe. Unlike pain associated with bunions, the pain of dorsal impingement is not relieved by removing shoes. Sometimes, pain can be alleviated by wearing a more rigid shoe or custom insoles that better support the joint and prevent it from bending upwards as much. The typical course of treatment is to start with simple steps such as changes in footwear and anti-inflammatory medications. If the symptoms of pain persist, often your doctor will recommend a cortisone injection to help relieve symptoms. If the cortisone shot is not helpful, a surgical treatment may be recommended. A cheilectomy is often, but not always helpful. The advantage is that the recovery from a cheilectomy is relatively short, with few restrictions on patients following surgery. If patients don't find relief of their pain after a cheilectomy, then a more invasive surgery called a fusion can be performed. Cheilectomy tends to be most helpful for people who only have pain when the big toe is pushed upwards, causing the bone spur to become pinched on the top of the foot. If pain is just a generalized discomfort, then a cheilectomy is less likely to be a helpful procedure. Persistent pain: If the problem causing the pain was not so much the bone spur, but rather the worn out cartilage in the joint at the base of the big toe, then the cheilectomy may not be sufficient to relieve the symptoms of pain. That's why it's important for your doctor to carefully examine your foot and offer an indication of how likely they feel a cheilectomy will help to relieve your symptoms. 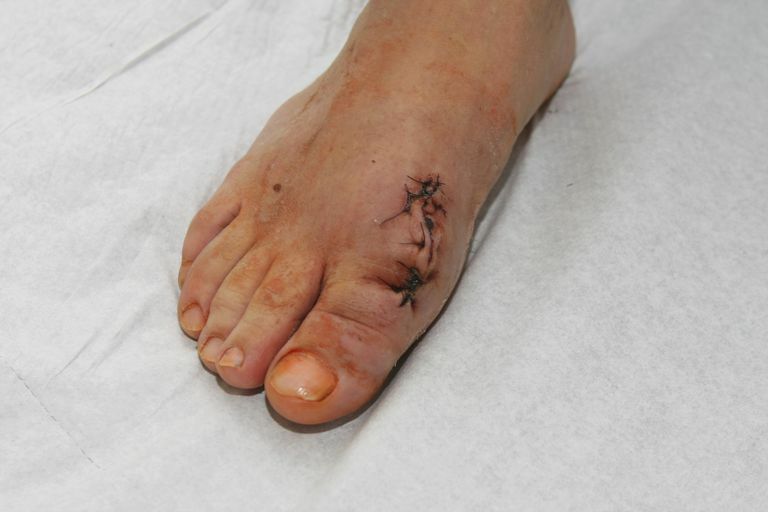 Infection: Feet incisions can be susceptible to infection. It's important to follow your surgeon's instructions carefully and take good care of your incision to ensure you don't have problems with infection. Nerve injury: There are some nerves that provide sensation to the big toe that are near the incision for the cheilectomy. Your surgeon can take steps to protect these nerves during surgery, but there is a possible risk of nerve injury. Recurrence of the bone spur: The most common concern with this surgical procedure is that the bone spur can return. The problem of an arthritic big toe does not go away with a cheilectomy surgery, and therefore symptoms can return, and the bone spur can grow back down the road. Mann RA "Disorders of the First Metatarsophalangeal Joint" J. Am. Acad. Ortho. Surg., Jan 1995; 3: 34 - 43. Hip Labrum Tears Are Diagnosed Often, Is Surgery the Best Choice?